The Damon Dash orchestrated BlacRoc project brings together the Black Keys and the likes of Mos Def, Ludacris, Q-Tip, Raekwon, RZA, Pharoahe Monch. This was bound to happen as rap sounds on point over guitar riffs. 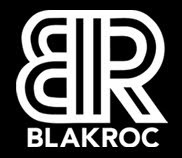 In the words of Raekwon, "BlakRoc is brilliant acid." Monch's take: "What it meant to me, I always knew: great rock music and great hip hop music fused together can create undeniable greatness. - the Keys are the truth. "